President Buhari to hold talks with Togolese President in Kastina – Royal Times of Nigeria. 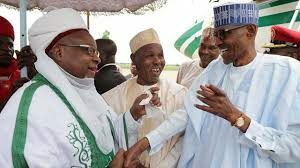 President Muhammadu Buhari has arrived Katsina for a two-day official visit. The president was received this morning at the Umaru Musa Yar’Adua International Airport by Governor Aminu Masari, Ministers, State and Federal Government officials. He also inspected a guard of honour mounted by a joint team of the Nigerian Army and the Nigeria Police Force at the airport. 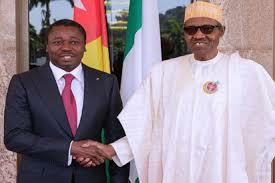 President Buhari is billed to hold talks with the visiting Togolese President Faure Gnassingbe Eyadema while in the state. He will also pay sympathy visit at the palace of Emir of Katsina Alhaji Abdulmumuni Usman where he would address traditional, community and religious leaders as well as stakeholders in the state on national issues.